What do you understand by the term Renewable Energy? A different form of energy which are extracted from the environment naturally and from the natural replenishable sources is defined as Renewable energy. 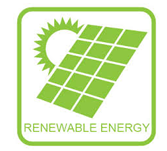 Renewable energy may be in different forms such as solar energy, wind energy, geothermal energy, hydropower, and biomass. The tutorial covers all the basic concepts of the different forms of energy and their efficiency. Who are the audience for learning the concept of Renewable Energy? The concept of Renewable energy is mainly targeted for the readers who are interested in learning and gaining knowledge on the concepts of renewable energy, sources of renewable energy, the production and utilization of renewable energy. What are the prerequisites required for learning the concept of Renewable Energy? Since this is a introductory tutorial, the readers and student who are interested to gain knowledge about Renewable energy and its basic concepts can read and understand the tutorial.